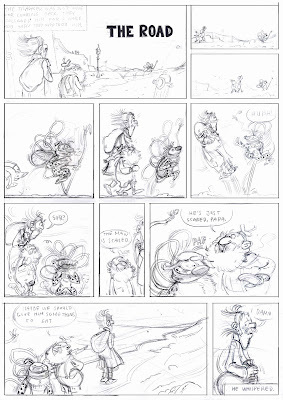 This week we have had a style course with Mårdøn Smet, where we have been working in the style of André Franquin! 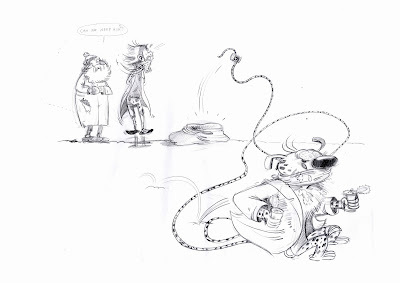 The artist of Spirou and Gaston Lagaffe (Splint og co. og Vakse Viggo). 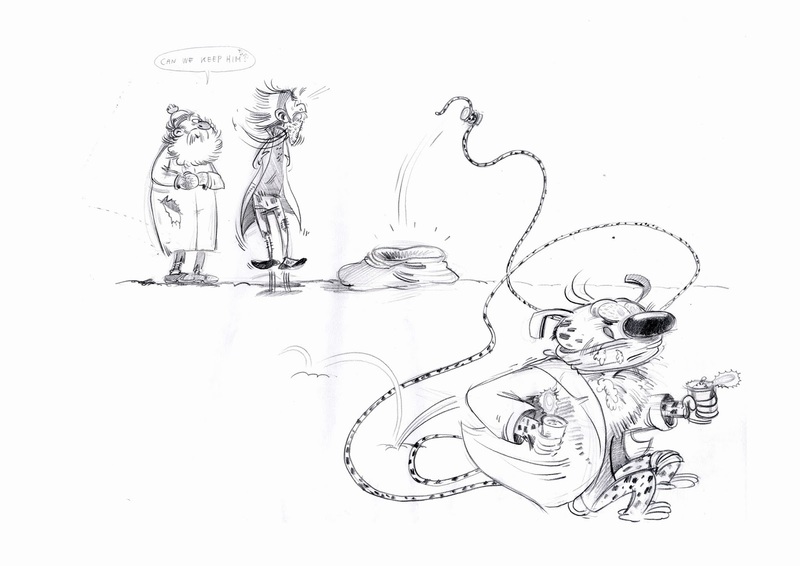 The assignment was to make a comic page in Franquin style (his stylistic period of 1956-58). To make things really weird, the page was to be based on a short excerpt of Cormac McCarthys post-apocalyptic novel The Road. The excerpt is where the man and the son meets an old man on the road, and they share some food with him. Mårdøns verdict of my work was that it was far from Franquin, both in drawings (I really hadn't got the jackets sleeves right and things like that) but especially in the storytelling. It was not in the spirit of Franquin to use an old man as a little boy for example. We had two days on our own to research his style. Marsupilami as the old man. The count of Champignac ( Pacôme Hégésippe Adélard Ladislas de Champignac) for the father. 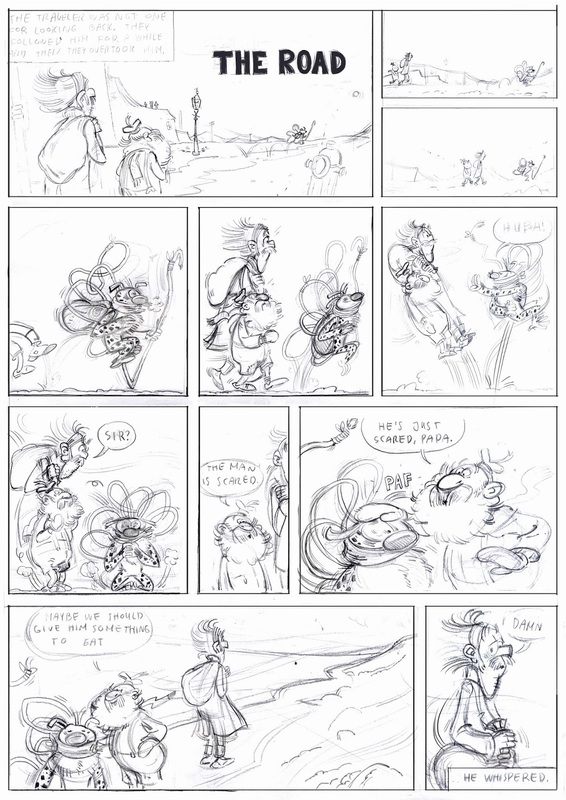 It was a challenge to balance how much The Road and how much Franquin I was going to put in my comic. 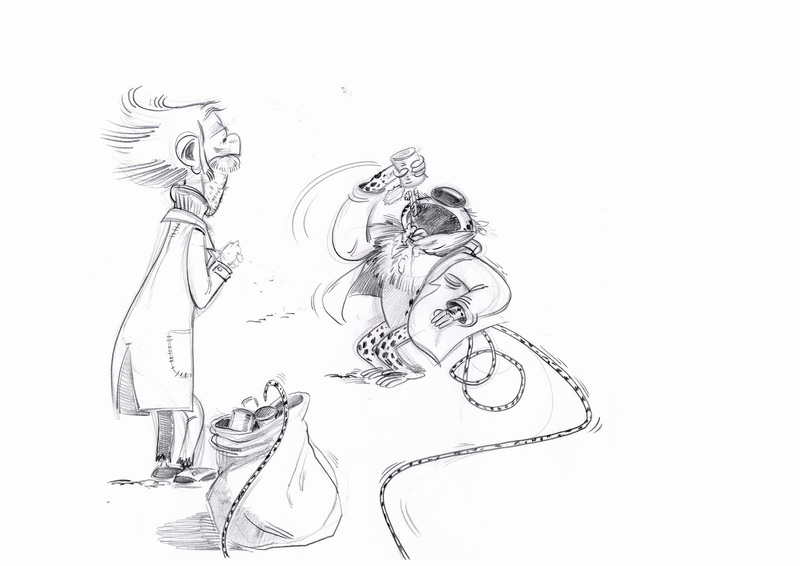 Franquin uses a lot of comical relief, gags and slapstick humor, and there's not a lot of that in The Road. In the end I decided to stick to the text and only edit it. In this course I also learnt that kids wear sailor costumes. I will color the page later.